Are there any movies that you know are critically acclaimed or beloved by other people, but you just can’t bring yourself to watch them because you think they’re just so-so? I would like to share 10 films (listed alphabetically) that I wish I liked, but I don’t. The world before Christopher Nolan’s Dark Knight Trilogy was a simpler one for Batman fans. It was easy to divide the Batman films into three camps: The Good (1989’s Batman), The Enjoyably Bad (Batman Forever and 1966’s Batman), and the Ugly (Batman Returns and Batman and Robin). But then Nolan had to come and take the series in a completely new and wonderful direction. Suddenly it was impossible to tell what to think of the original four films. Comparing Tim Burton’s Batman to Batman Begins or The Dark Knight makes it look much smaller and empty. It’s revealed for what it always was: style over substance. Jack Nicholson’s Joker is sometimes menacing but never interesting. Michael Keaton’s Batman and Bruce Wayne are decent but never compelling. The supporting characters are all serviceable, but they never contribute much to the story or give standout performances. All of these problems are solved by Nolan’s films. 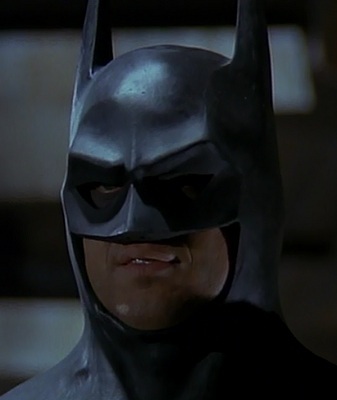 Batman (1989) is a film I enjoyed when I didn’t know any better. I heard a lot of hype about this movie before I finally saw it on DVD. I was told that it revolutionized the science-fiction genre, had a unique story, and was just a great film all around. Unfortunately, I don’t see what all the fuss is about. It starts out like a documentary and then abruptly shifts to a Hollywood film before bookending with more documentary-type footage. I don’t understand why they decided to do that. In Cloverfield, they didn’t start with a home video camera and then switch to professional camerawork once the action got started. They started with an idea and stuck with it (for good or ill) the whole way through. District 9 isn’t constrained by notions of consistency. It’s constantly changing tone from racial prejudice to family problems to David Cronenberg-style horror to Aliens-style action (complete with robotic suit) to prison break with sloppy transitions, to boot. I wanted to love this film, but it kept giving me reasons to be repulsed by it. One of my sisters treats this film like it’s one of the best ever made. “It teaches good values, it’s family friendly, it’s hilarious,” etc. are all reasons she gives for loving it. When I finally sat down and watched it, though, I couldn’t wait until it mercifully ended. I enjoyed Bruce Almighty, despite its flaws. It’s a funny, enjoyable film. Evan Almighty is not. When will Hollywood learn they should never make sequels to Jim Carrey movies? It didn’t work out well for the afore-mentioned Batman and Robin, or for Son of the Mask or Dumb and Dumberer, for that matter. 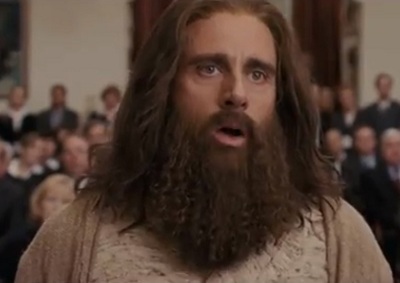 Evan Almighty fails in just about every way possible. It doesn’t work as a sequel because it’s so far removed from the main characters of the first film. Its jokes never made me laugh. The characters aren’t likeable. And the story makes no sense. I’ll admit, I was interested in seeing where the story was going, but when I found out that Evan and his family were building an Ark to save a bunch of animals who aren’t in their natural habitat anyway, I just thought that that was really poorly thought out. God commanded Noah to build an Ark to save a variety of animals because he was going to flood the whole earth and needed to keep all the species alive. In Evan Almighty, God puts animals into harm’s way for a localized flood. It makes no sense. Just warn Evan about the dam that’s about to burst and he can do a lot more good to prevent loss of life and property. Sure, it can be argued that building the Ark strengthened his family, but first it unnecessarily put a lot of strain on it. It seems like the whole plot hinges on creating problems just so they can be incompetently fixed later. I wish that this clean comedy was worth watching, but for heaven’s sake it’s not. I like Matthew Broderick in films like WarGames and Glory where he plays an unlikely hero. But he never struck me as the most popular kid in high school. And yet that’s exactly what I’m supposed to believe in Ferris Bueller’s Day Off. This is a movie that I desperately wanted to like growing up because my brothers all liked it and it was supposed to be one of the funniest teen comedies of all time. But the only parts that I really found myself enjoying are the development of Cameron Fry and Ferris’ sister Jeannie over the course of the film. Cameron starts out as a basket case, but he ends the film firm in his desire to stand up to his father and live his life on his own terms. It’s also satisfying to see Jeannie stop obsessing about her brother’s life and learn to think more about her own actions. All of the other characters are dull and not particularly dramatic or funny to me. I’m afraid I’ll have to skip this one. My parents had a serious debate about whether or not to let me see Indiana Jones and the Temple of Doom when I was about 8 years old. They worried that it was too violent and horrific. Human sacrifice, drinking blood, rooms crawling with insects, and other disgusting elements certainly contributed to their trepidation. But they eventually let me see this movie with the provision that I cover my eyes when they told me to. I happily agreed. The fact that I was so close to not even being able to watch this movie built a mystique around it that all but assured I would love it as a child. As an adult, I decided to watch it with my wife, who had never seen it before. But an odd thing happened. It wasn’t as thrill-packed as I remembered. Sure, there’s a lot of action in it, but I got bored with it pretty fast this time around. The whole production feels more staged than the other two Indiana Jones films in the original trilogy. Those two films feel real, and I can’t wait to see their stories unfold. Indiana Jones and the Temple of Doom, on the other hand, feels dreary the whole way through. Indy is treated like an icon rather than a character, and the conclusion leaves me exhausted and more than a little frustrated. It’s not a terrible film, but it lacks a lot of what makes the other two films so great. Sorry, Dr. Jones. Joe Versus the Volcano is like watching a 5-year-old give a dissertation to college students. He’s trying his hardest to say something profound and meaningful, but his speech comes across as ridiculous and insulting to the intelligence. For example, when Joe quits his job, he tries to give a speech condemning the entire corporate lifestyle, but his tirade doesn’t ring true and it just points out the obvious flaws that we’ve seen in his work life. Compare that to Peter Gibbons’ interview with the Bobs in Office Space, which has both funny and profound insights into the workplace. Now that’s an epic conversation. Joe Versus the Volcano is a movie that fails to use its potential. Robert Stack and Lloyd Bridges are wasted in their cameos. The most engaging part of the film is when Joe’s limo driver takes Joe out on the town to buy a new wardrobe. But then that scene-stealing character is quickly discarded in favor of bland ones. Meg Ryan pointlessly plays three characters, each of whom is more boring than the last. And the conclusion of the story is so ridiculous it’s almost farcical. But by that point I can’t tell if the film is trying to be serious or not. Honestly, Garfield in Paradise did this story much better. This movie could have been great, but instead it makes me want to blow my top. I’m probably going to get raked across the coals for this one, but I’m just being honest here: I don’t think Saving Private Ryan is all that great. I wish I did. But after the unbelievably intense opening scene of the Normandy invasion, the film goes off in an unfortunate direction. I wasn’t exactly thrilled to spend the rest of the movie with a group of soldiers who aren’t particularly interesting or who don’t have enough screen time to become interesting. If they had focused solely on Tom Hanks, Tom Sizemore, the sniper, and the medic, they might have had something. But the movie loses its way and meanders for quite a while before embarking on its epic finale. That great conclusion isn’t worth the long slog to get there, though. My brother really wants me to watch the HBO miniseries Band of Brothers, but I keep putting it off because Saving Private Ryan is the last World War II film I saw and it left me unenthused about the genre. Maybe that miniseries will make up for this film. I hope so. I wanted to love this movie. Spider-Man 2 is one of my favorite comic-book movies and for a long time it was one of my favorite movies, period. I went into Spider-Man 3 with a lot of hope. I wanted this to be an epic story about Peter Parker’s fight to overcome a sinister force inside him. 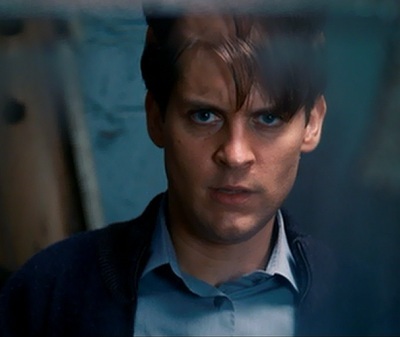 That would be a fantastic concept to follow the second film that dealt with Peter’s internal struggle to embrace his alter ego without letting it destroy his personal life. Instead, Spider-Man 3 is mostly aimless. It misses the point of the Alien Symbiote’s sinister motives, and it relies on far too many subplots and easily solvable dilemmas to be entertaining. It’s a mess. There are a lot of good things here, such as Peter’s fights with his friend Harry Osborn and the final fight with Venom and Sandman, but the problems outweigh the good spots. Swing and a miss, Spidey. Thank goodness The Amazing Spider-Man put the series back on track, even though it had to completely reboot it. I watched this movie on opening night. I haven’t seen it since then. 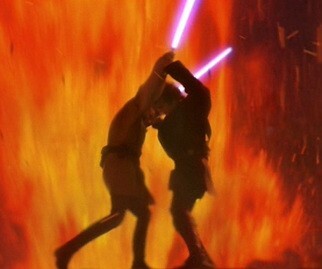 It is so disappointing to me because I thought that if any of the prequels would be amazing and memorable, it would be this one. But no, it’s just more of the same. All the really interesting things that I was waiting for happen: The Emperor takes power, Anakin Skywalker becomes Darth Vader, Luke and Leia are born, and Yoda and Obi-Wan Kenobi are banished. But all of those things happen in lackluster ways. They don’t have serious emotional impact because they were telegraphed so far in advance and they feel more like they are just going through the motions. Chancellor Palpatine just declares himself the Emperor. He doesn’t get a truly epic backstory or anything. He’s just evil. That’s all there is to him. Anakin’s turn to the Dark Side to save Padme feels contrived. I was dumbfounded that Padme died right after delivering her twins. I thought it would be much more interesting if she had lived a while longer with Leia before being assassinated, as was hinted in Attack of the Clones. The destruction of the Jedi feels perfunctory because we never got to know the Jedi who are being killed. I guess this is the best of the Star Wars prequels, but that’s not saying a whole lot. I can’t force myself to watch it again. I’m really torn on this one. I was hooked by The Village’s eerie setup of supernatural beings haunting a small group of 19th century folks. As the story unfolded, I became more and more engrossed in it. Every discovery, big or small, added another piece to the puzzle until the final revelation brought everything into focus. I actually liked the twist ending because it said so much about the village leaders’ motivation for everything they did throughout the film. This is one of M. Night Shyamalan’s better films. So why don’t I like it? A few things come to mind. The performances are, frankly, wooden. I know that’s intentional, but it still makes some scenes painfully hard to watch. The love triangle doesn’t quite work, though it does come close. The actors feel constrained from emoting too much, which makes it difficult to instill passion and liveliness where it’s desperately needed. The story, while clever, does drag at times. I am so close to liking this film, but I can’t quite bring myself to do it. There you go. I hope you enjoyed my list. Feel free to share your thoughts on which ones you think I’m dead on or dead wrong for not quite liking. Be sure to come back next week to see my fun follow-up list of 10 Movies I Wish I Didn’t Like. This entry was posted in Random Stuff and tagged batman, films, movie review, movies, spiderman, star wars. Bookmark the permalink. I agree with a couple of them. I also didn’t like Evan Almighty and also didn’t get the appeal for Ferris Bueller’s Day Off. there are always someone sees you won’t like which others do. I love district 9 but I can understand you wouldn’t. Thank you for your comment. I’m glad I’m not alone in my feelings toward Ferris Bueller’s Day Off. I hope I didn’t come across as too harsh on District 9. I can definitely see why people like it. It just wasn’t my cup of tea. This list is just all in good fun. I think for Ferris Bueller you need to have seen it at the time. It just seemed silly and didn’t appeal much to me. I have some of these movies too which are widely loved but I just don’t like. Good list. I will say Evan Almighty is probably critically acclaimed or beloved by next to no one. Your sister is delusional on the merits of that movie. It’s a real stinker. Thank you. Yeah, my sister really tried to convince me that Evan Almighty is great, but I can’t find anything good in it. Can’t disagree with you on the ones I’ve seen, Robert. ‘Ferris’ was okay the first time back in the 80s, but it didn’t age well. ‘Joe & …’ was tripe, ‘Temple of Doom’ must have been made because someone lost a bet (I think it was the producers), ‘Spidey III’ was ridiculous just for the dancing scene alone, and the final Star Wars movie made me want to take up acting, since I am certainly capable of acting just as badly as Hayden Christensen (and for far less money). I have two sons who are both HUGE Star Wars fans, and I’ve actually had to watch it a couple more times since I saw it in the theater. Be warned: repeated viewings make it exponentially worse, if that’s possible. If we showed terrorists held in Gitmo this film, they’d tell us everything they know rather than suffer through it more than twice. As for the rest of your list, I’ll take you at your word and just avoid ’em. I’d agree with you on all of them except “The Village”, and even there I understand why you don’t like it. If I could go back and re-shoot just one moment in that movie, the moment when we see the alleged monster in profile…and it looks ridiculously dorky…I would. Having watched the special features and seen the sketches for that character, I can’t believe Shyamalan and his editorial team thought that the scene in the film was effective. Nearly spoiled the whole thing for me. That said, I loved the relationship between the blind girl and Joaquin Phoenix’s character, loved the cinematography and the music, and the themes of trying to avoid evil in the world…and failing, and overcoming sin/evil with love. I followed your advice and checked it out today. I’ve watched through part 4, and boy is it a powerful miniseries so far. I’m sure it will only get better, too. Thank you, Amy, for that extra push to finally get me to take the plunge. I’m glad I did. Going to go ahead and disagree on the Batman one. This could be because I’m a fan of the comics, but subtlety is the key for Batman. Bale had none of it. I just, don’t see the appeal of the voice he used, nor do I see the point in telling us EVERYTHING about Batman. He’s meant to be dark and mysterious and we shouldn’t know much about him at all. We got snip-it’s about his parents of course, and the one story shared by Alfred when they were having dinner.. but past that, nothing (in the Burton film). We should be afraid of what he can do just by looking at him, not from listening to him. Which, the Burton film did well, a prime example being that picture that was used. That smile alone would scare the ever-living out of me.. hearing a guy yell at me when it sounds like he needs to see a doctor, not so much. It’s funny because, it’s kinda reversed. In the Burton film we knew little about Batman and all about the Joker. In the Nolan film, we knew all about Batman and nothing about the Joker. This is not to say that the Burton film was perfect by any means, but it felt more like the comic. And that’s the line that we need to draw here. The Nolan series of films, is made more for a realistic approach. Like what if Batman existed in real life. In the last film, I’m quite sure you can see the Statue of Liberty as the camera does the circle around when everything is blowing up. Where as the Burton films felt and looked more like it was a comic book come to life, without the camp of the 60’s Batman to make it too soft to be taken seriously. Thank you for your excellent comment. The thing that I love most about the Nolan films versus the Burton films is that they’re more than they seem. With the Burton films, they’re fun and action-packed, but they don’t really mean anything deeper than that. With Nolan’s film, however, you can look at their symbolism, such as the dichotomy of Batman and Joker, how they both have followers who dress up like them at the start, they’re both fighting over the soul of Harvey Dent and, by extension, Gotham City. You can really delve deeply into those films and find a whole world of complexity beyond the spectacle. I love that. When I first encountered this blog, I had a moment of actual deja vu, in the sense of “What feels familiar here that I can’t quite place?” I knew there were two films I had been pondering for their parallels, but I couldn’t recall which ones. Then I saw you talking about Ferris Bueller here, and I realized the films I had in mind were that one and Office Space. So I left this page and did a web search for “office space” within this site, and the only result was this very page! Huh. My thinking on those movies was basically this… Both are about someone who decides one day to buck the system by simply not showing up, to the chagrin of authority figures with irritating mannerisms. This protagonist goes on to rub his rebellion in the face of his school/workplace with some over-the-top antics, and drags in friends (at least one of them with much reluctance) to collectively engage in some nontrivial rulebreaking (embezzlement with a computer virus vs. driving your dad’s expensive car). When things naturally go sour, the friend(s) express regret and lash out at the protagonist, who offers to take the blame. At the end of both films, the original problem of being caught and punished by the authority figure (and incidentally, of having to spend even more time at the hated school/workplace) is solved by the intervention of a side character. Where the films differ is key, and underlies my slight preference for Office Space. Bueller is a string of hijinks done for their own sake. (Albeit sufficiently entertaining hijinks to make the movie enjoyable all on their own.) When you set aside the character’s charisma, it’s not clear why we’re supposed to “think he’s a righteous dude”. But the first act of Office Space establishes the tyrannies suffered by Peter Gibbons, however trivial they might be. Bueller doesn’t really satirize high school like Office Space does white-collar work, in particular when Peter’s new apathetic attitude leads to his being considered management material (although a similar point is expressed in Bueller, and more convincingly insofar as Ferris is already something of a leader). On the contrary, I am honored to have your wonderful comment grace this blog post. That is some serious thought you put into that comparison and I love it! I never thought of those two films in conjunction before, but now I see that it makes perfect sense. I like the way you point out the essential difference between the two films. I think that’s what really keeps me from enjoying Ferris Bueller’s Day Off as much as I would like to. There’s nothing to compare his usual day to. He hates being at school, but we don’t really see why. Sure, the principal is annoying and the teachers drone on and on, but none of that seems particularly interesting or something worth rebelling against. Ferris’ sister and Cameron Fry go through the most changes through the course of the story, and I wish more time was dedicated to them over Ferris.